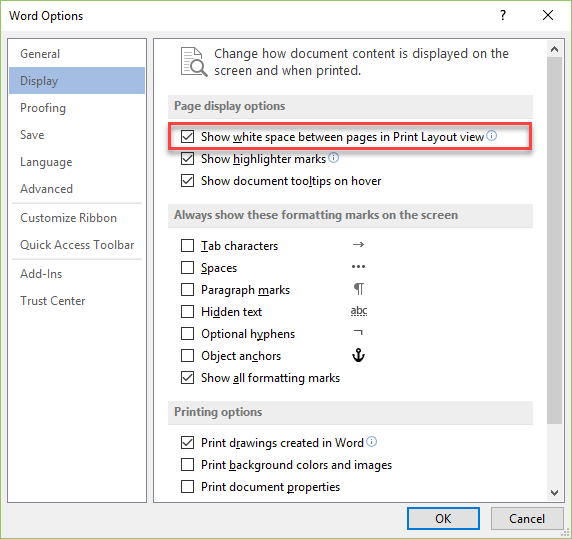 Note, these all have to do with the print view or print preview view in Word. Are you seeing something like one of the next two screen shots? 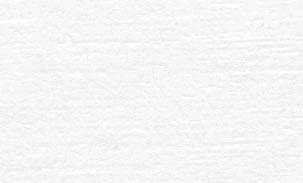 Since at least Word 2003, Word has given people editing in a print preview mode the option of turning off generally blank space or "white space" between text. This is found in Word Options but is most easily accessed with the mouse. 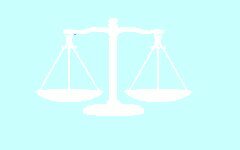 When you move the mouse pointer into the area just above the page (or between pages) but not on a toolbar or the Ribbon, it changes as shown below. 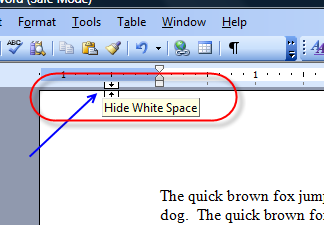 In Word 2003, clicking on the mouse when that mouse pointer is showing will change whether "white space" is hidden or displayed. I suspect that this is the main way it gets changed in Word 2003, often without the user intending to do so or having any idea what happened. 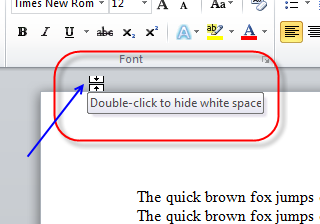 It was changed to require a double-click in Word 2007. In all versions, you can get the same mouse pointer change between pages as well as at the top of the first page. 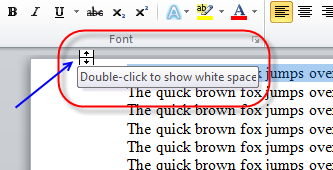 The screen shots below show the Ribbon version of Word requiring the double-click. White space (margins) showing above. Same page with this hidden below. Note mouse pointers! I first learned about this from Word MVP Suzanne Barnhill and her page on the subject. That page also gives you the steps to change this setting through the Word Options instead of with the mouse and points out other side-effects. Here is where you find the option in Word 2007-2019 (365).